WE NEED YOUR HELP TO MAKE THE FEST OF ALE HAPPEN! In it’s 14th year, Keg Liquors Fest of Ale has proved to be a smashing success. We are returning in 2019 with market recognition and strong support from Crusade for Children, our charity organization. Keg Liquors Fest of Ale seeks to bring awareness and monetary gifts for Crusade for Children as part of our event objective. Additionally, we want to further craft beer in Indiana by providing a premier tasting event that embodies the craft beer lifestyle. This event will feature sampling of more than 250 + craft beers in a grass roots beer festival environment. The Keg Liquors Fest of Ale has increased donations to the WHAS Crusade for Children each year with over $17,000 donated in 2018. Our goal with your help volunteering will help us exceed our previous year’s donation. This year’s goal is to reach at a minimum of $18,000, but to go above and beyond! In the past 13 years, The Keg Liquors Fest of Ale has donated over $100,000 to the WHAS Crusade for Children. Here's your chance to help! *You must be 21 years old to volunteer and have a valid ID at the event. *Beer pouring volunteers will need to fill out paperwork for temporary pouring permits. We understand life happens, if you sign up and are not able to attend, please remove your name immediately so we can fill the volunteer space in advance. 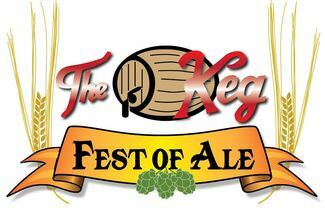 Thank you for your contribution of time and effort for The Keg Fest of Ale benefiting WHAS Crusade for Children. NOTE: PLEASE INCLUDE YOUR SHIRT SIZE. If you are signing up for multiple people, please include their shirt size in the comments. We will be offering Men's and Women's cut shirts. We will order according to the sign ups. If your shirt does not fit, we will do our best to accomodate, but only if additional sizes are available. Please put your approriate size in the request. Moving Kegs, Cases of Beer, Ice, fill water coolers, etc. *Heavy lifting, must be able to stand/walk. This group will work together to pour hoppy beers at the "House of Hops" Beer Trailer. This group will work together to rotate pouring within the group for breaks, etc. *Must be able to stand entire time. This group will work together to pour sour ales at the "Sour Shack" Beer Trailer. This group will work together to rotate pouring within the group for breaks, etc. *Must be able to stand entire time. Beer Pouring - Imports & Beer Stations as needed. Working either in groups of two or individually where needed. You will be working under the direction of a distributor rep to pour beers such as imports or a brand a rep is not available. *Must be able to stand entire time. Cutting Ribbon, stringing pretzels and assisting public with making a pretzel necklace. This is a great job for individuals that need to sit or have limited mobility.